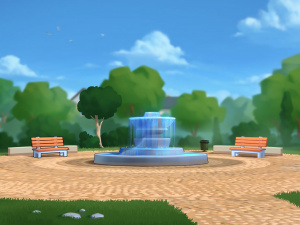 The park is where Eve and her friends hang out. Here the main character can improve his charisma stat by doing rap battles against Chad, Chico and Tyrone. Rap Battle minigame can be played here.